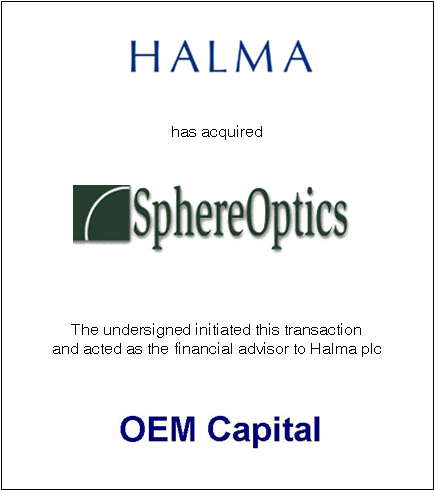 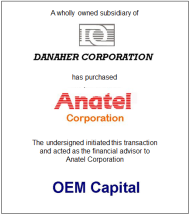 OEM Capital assisted Halma plc in its acquisition of SphereOptics, LLC. 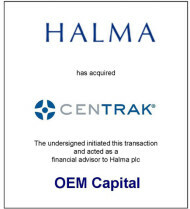 This is the fourth acquisition in the optical and photonics industries that we have helped Halma complete. 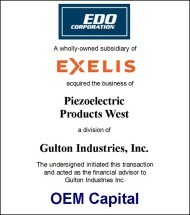 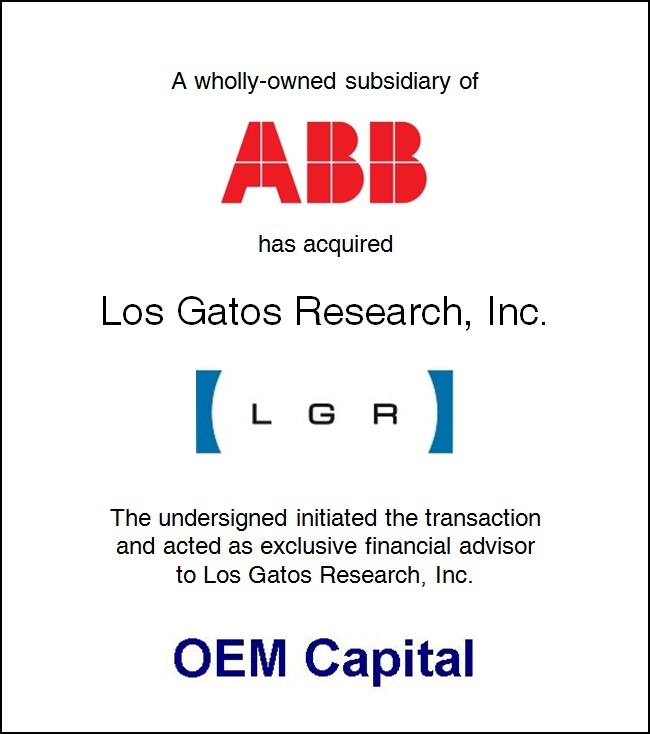 Previously, we assisted in the acquisitions of Ocean Optics, Labsphere, and Oerlikon Optics. 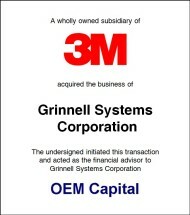 SphereOptics, LLC, located in Concord, New Hampshire, produces and sells precision radiometric and photometric products for the aerospace, automotive, imaging, laser diode, LED, lighting, and optics industries. 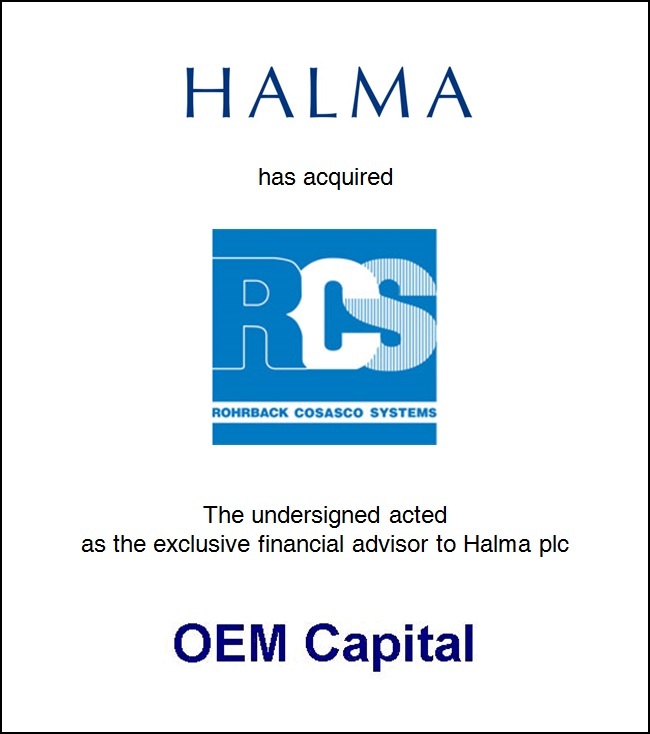 Halma plc, through its subsidiaries, engages in the development, production, and marketing of hazard detection and life protection products. 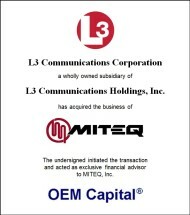 It operates in three segments: Infrastructure Sensors, Health and Analysis, and Industrial Safety. 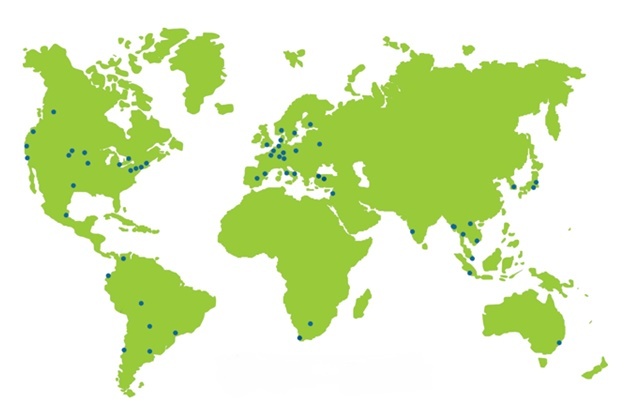 The Company is headquartered in the United Kingdom.